It all started with "The One." The commercials teased, "What is The Matrix?" and, for once, we actually cared and wanted to know (if its box office performance was any indication). Try to forget the nonsensical sequels and the last 5 seconds of this one ("Neo can fly! "), this movie truly showed us things we just never saw before. It even coined the industry term "bullet time," though it was regrettably copied in almost every single action movie since. Still, philosophy and kung-fu have never blended so seamlessly before - or since. 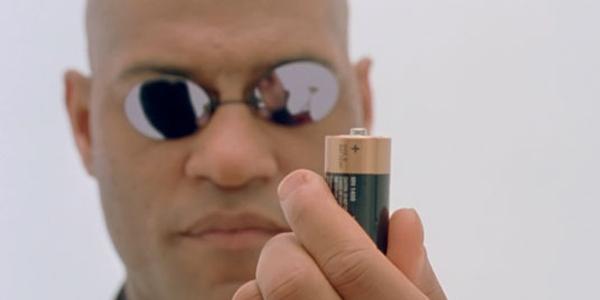 In The Matrix, Keanu Reeves' Neo (or "The One") discovers that day-to-day reality is nothing more than a gigantic computer program that has blinded us from the reality that we're actually slaves providing energy to an alien race of machines. The movie sparked our fascination with digital worlds and noted our increased reliance - and interdependence - on computers years before Second Life or Facebook. Somewhat paradoxically, The Matrix enhanced both the amount of digital trickery and practical effects when it came to stunts. While multiple digital cameras captured action in "bullet time," more wires were added to stunt work, though they were naturally erased in post. Wire-work stunts would probably reach its zenith with the following year's Crouching Tiger, Hidden Dragon, directed by Ang Lee. So what is The Matrix? Keanu Reeves in a science-fiction blockbuster that contemplates the transcendence of reality and the tangible nature of existence. "Whoa," indeed.